The Secret Diary of Steve Jobs : Karl Rove raves about his iPhone. Ugh. 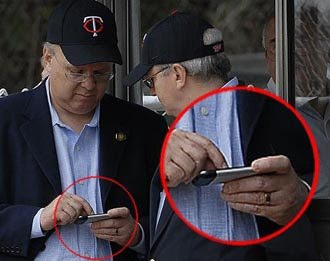 Karl Rove raves about his iPhone. Ugh. See here. The architect of evil says he loves Apple products. Regarding iPhone: I mean it is just shocking how much better, how much more productive I am. I no longer carry around a giant address book, if I don’t have my calendar close at hand, I can quickly check it out of my– I don’t have to carry, I used to carry several notecards, now it’s just as easy to scribble on my little notepad, I can take photographs and forward them on immediately, it’s just remarkable. Well I am just so glad that we have made Karl Rove productive. How wonderful is that? Now I must go meditate before I get physically ill. Much love to Matthias for the tip.